We are proud of all the work our students have done in our department and community. These students were selected for their respective scholarships after careful consideration of their academic achievements, extracurricular activities, and strides they've made towards their career goals. Scholarship recipients will be recognized at our Partners Dinner and scholarship banquet on December 7, 2018. For more information on department scholarships, please visit our scholarships page. Vanessa is a fourth year civil engineering student and the recipient of two department scholarships. Last year, Vanessa served as President of Cal Poly's Institute of Transportation Engineers (ITE). 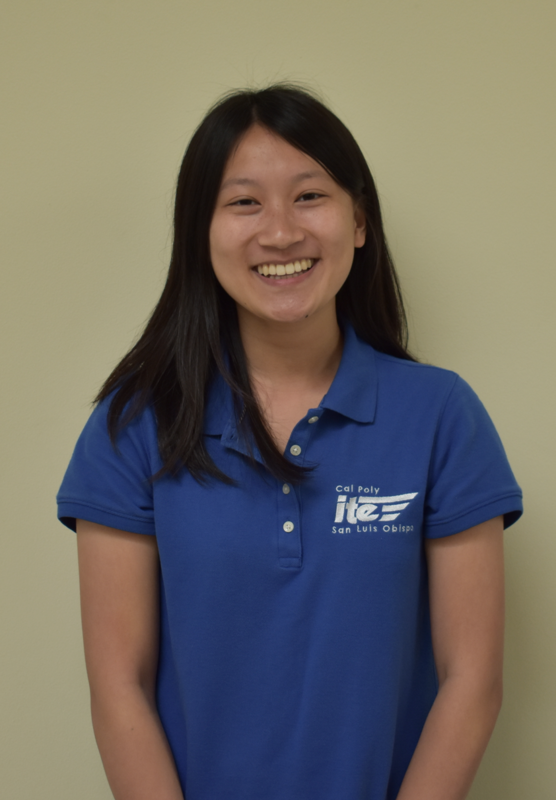 She also served as team captain for the National Operations Center of Excellence's Transportation Technology Tournament, in which the Cal Poly SLO team placed second through their proposal for Intelligent Transportation Systems solutions for pedestrian safety in Detroit. Vanessa has held several transportation engineering internships with the San Francisco Municipal Transportation Agency (SFMTA) and DKS Associates in Oakland and Seattle. Last year, Vanessa served as President of Cal Poly's Institute of Transportation Engineers (ITE). She also served as team captain for the National Operations Center of Excellence's Transportation Technology Tournament, in which the Cal Poly SLO team placed second through their proposal for Intelligent Transportation Systems solutions for pedestrian safety in Detroit. Vanessa has held several transportation engineering internships with the San Francisco Municipal Transportation Agency (SFMTA) and DKS Associates in Oakland and Seattle. Karin is a third year Environmental Engineering student and member of the Society of Women Engineers and Engineers without Borders. She is part of Cal Poly's Water Energy Sustainability Training Team (WESTT) and was involved in research exploring improvement of algae strains to increase their biofuel yields. She is also a learning assistant for general chemistry courses at Cal Poly. After graduation, Karin hopes to attend grad school and pursue a career in bioremediation. 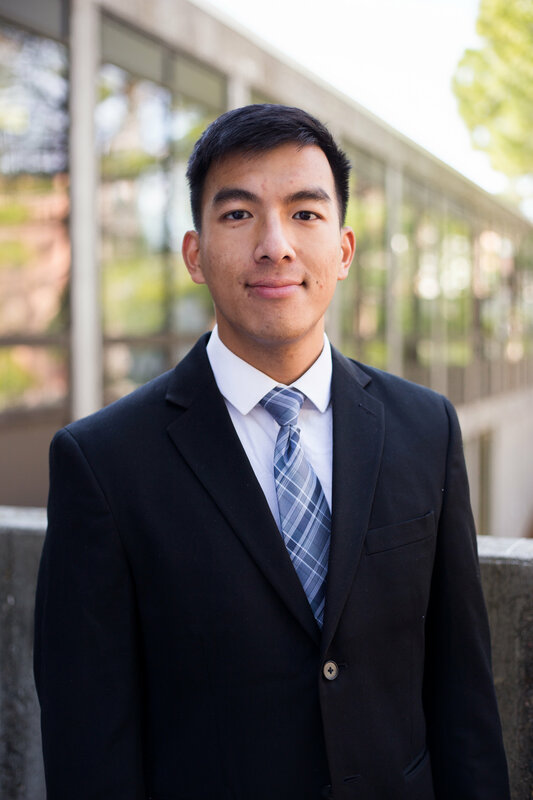 Calvin is a fourth year Civil Engineering student and is involved with Cal Poly's Institute of Transportation Engineers (ITE), Asian American Christian Fellowship (AACF), and Society of Civil Engineers (SCE). He interned for the San Francisco Transportation Agency during summer 2017 and worked on projects to help reduce traffic congestion from ongoing construction projects in the city. This past summer, Calvin interned for Balfour Beatty and worked on the Caltrans Modernization Program and helped construct the overhead contact system that will provide electricity for the Caltrain system. After graduation, Calvin hopes to pursue a career in civil engineering, urban planning, and economics. Calvin hopes that through his career, he can help find solutions to societal issues like homelessness, traffic congestion and water scarcity. Anna Johnson is a third year civil engineering student. She has been on committees for Society of Women Engineers in the past. This year she is the Conference Coordinator officer for Society of Civil Engineers. 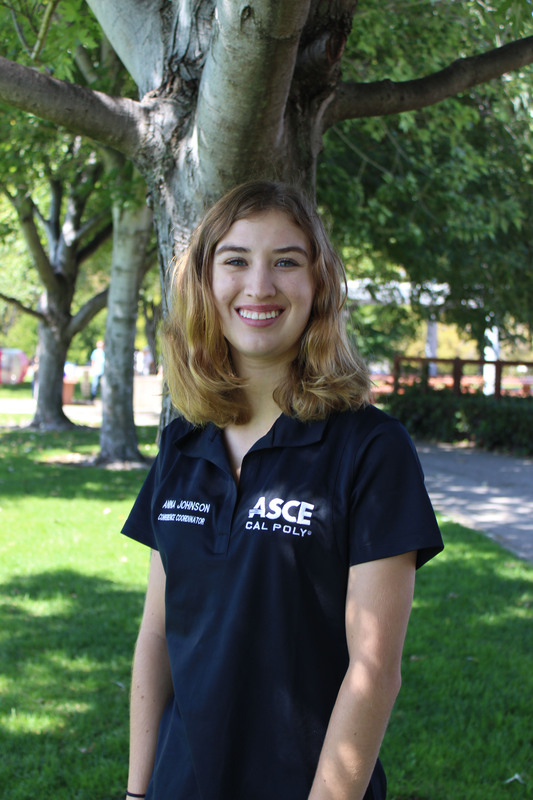 Anna also competed at the Pacific Northwest Conference on the Design Build team this past year, and plans on competing this upcoming year when Cal Poly hosts the conference. The past two summers she has worked for NorthStar in Chico, California, a multidisciplinary civil engineering firm. In the future she would like to pursue the concentration of water resources, hopefully working in the Sacramento/Northern California area. Daniela Vazquez is a fourth year civil engineering student and member of Cal Poly's Institute of Transportation Engineers (ITE) and the Ethical Eating Club on campus. She interned this summer at BKF Engineers as an Engineering Assistant and got hands-on experience with transportation engineering and land development. She currently works for the San Luis Obispo County Air Pollution Control District as a Clean Air Ambassador and translator. After graduation, she plans on working as a civil engineer in the transportation field. Brianna is a second year civil engineering Honors student. She on the events committee for the Society of Civil Engineers and helped coordinate the winter retreat and the Pacific Southwest Conference. Brianna was accepted into the University Singers and has performed in two concerts. 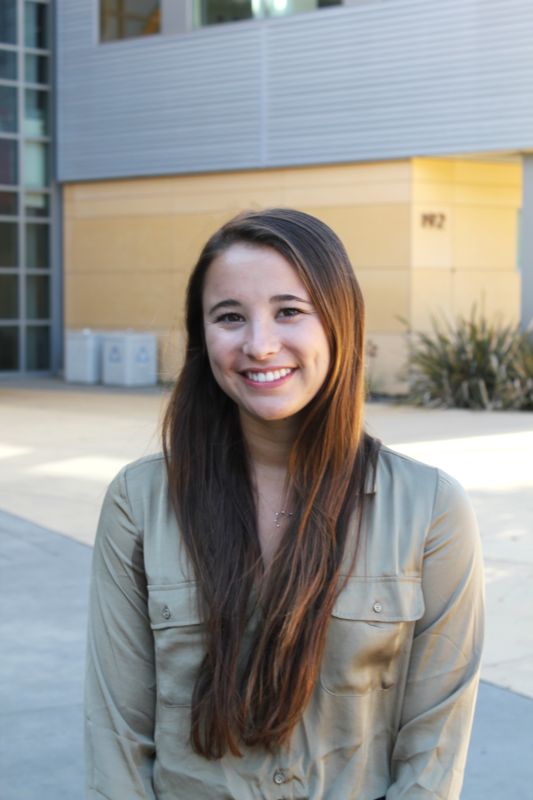 During her first quarter at Cal Poly, she participated in the Emerging Leadership Series. Jordan is a third year civil engineering student and is part of the Society of Civil Engineering (SCE) Concrete Canoe Team. He was part of Engineers without Borders Malawi maize mill project. 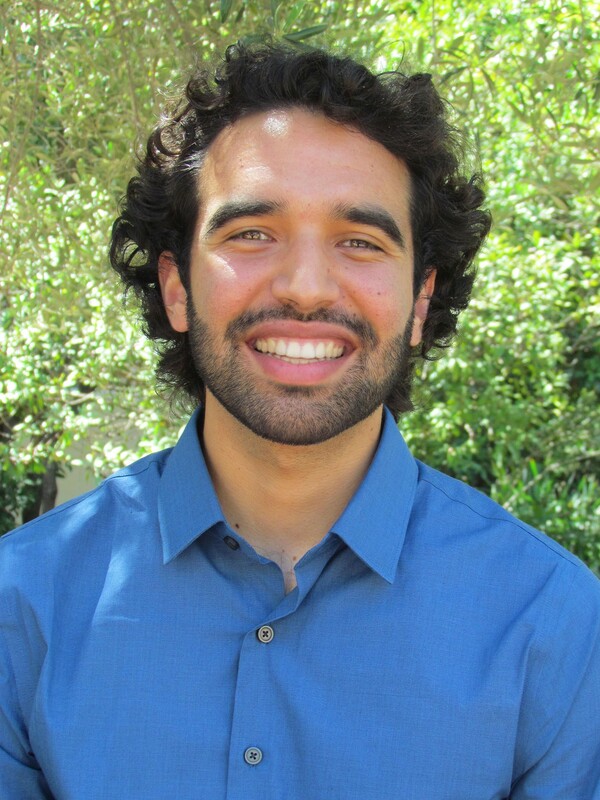 Jordan has worked as a drafter for Alan Mok Engineering, a land development engineering firm based in Fresno. After graduation, Jordan hopes to work as a geotechnical or transportation engineer. 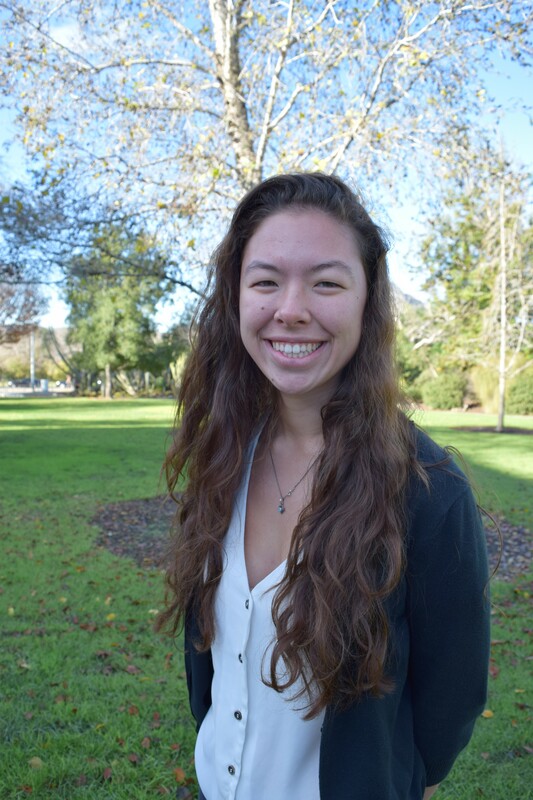 Alyssa is a fourth year civil engineering student and members of both the Cal Poly Rainworks and Institute of Transportation Engineers clubs. During Fall 2017, she served as a Master Plan Design Captain for the EPA Campus Rainworks Challenge through the Rainworks club. 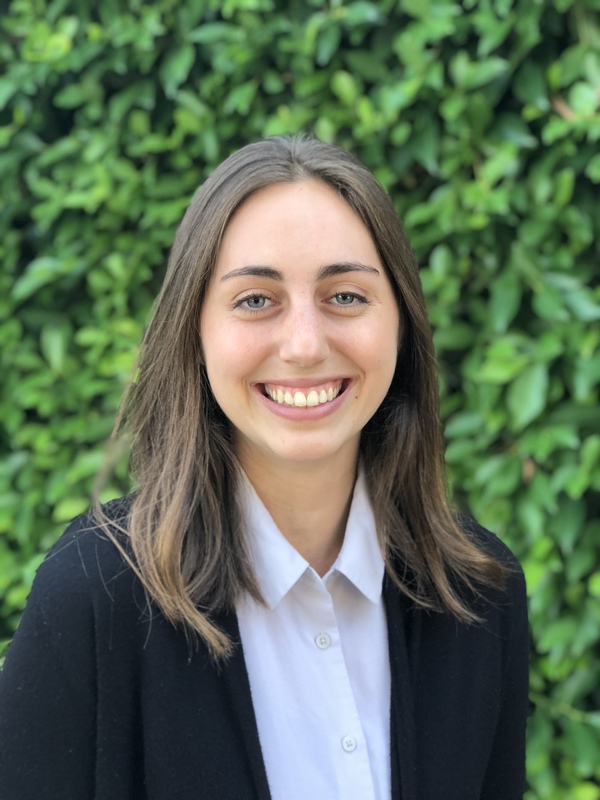 She has interned for the Department of Water Resources, the City of San Luis Obispo Public Works Department, and Kimley-Horn and Associates. After graduation, she plans to pursue a career in transportation and has accepted an offer to join Kimley-Horn fulltime as part of their transportation team. Hayley is a fourth year environmental engineering student and has participated in the WERC engineering design competition for the past two years. During her first year on WERC, her team developed a water treatment system to remove heavy metal ions from roof water runoff. This project won the INTEL Environmental Innovation Award. Hayley completed an internship with Lee & Ro, a civil engineering consulting firm, where she handled submittals, helped engineers complete CAD drawings, and developed a spreadsheet for handling pipe hydraulics. After graduation, she hopes to attend grad school and receive a master's degree in Atmospheric Science or Climatology. Diego is a fourth year civil engineering student and is involved in various extracurricular activities while maintaining a high GPA. Outside of school, Diego has devoted much of his time to working in the restaurant, construction, and engineering industries, gaining real-world work experience and thus far achieving his goal of funding his undergraduate education completely on his own. After graduation, Diego plans to pursue a master’s degree in structural engineering at a top university to continue exploring how he can use his passion to contribute to his community and inspire others. Justin is a fourth year civil engineering student and has been involved with the Structural Engineers Association (SEAOC). This club has given him opportunities to network with industry professionals. Justin hopes to complete a Master's degree in Civil and Environmental Engineering and pursue a career in land development. Alex is a third year civil engineering student and member of the Marksmanship club and the Society of Civil Engineers. He was a Lab Assistant for the CE/ENVE department during the summer of 2018 and helped renovate the department labs. After graduation, Alex hopes to work as a structural or construction engineer. Erika is a third year environmental engineering student and has been involved in the Cal Poly Triathlon Team for the past three years. She is the student head coach of the team and oversees 13 other student coaches to lead over 120 athletes. She is part of the Honors Program and Chi Epsilon. For the past two years, she has been working for the San Luis Obispo Air Pollution Control District as a Clean Air Ambassador visiting local schools educating students about air pollution. This past summer, Erika was a Water Quality Engineering Intern for Tacoma Public Utilities in Washington. After graduation, she would like to work in industry or pursue a graduate degree. Erin is a fourth year environmental engineering student and has been involved with Cal Poly's Women's Club Lacrosse Team for four years. She has been a part of WESTT research on campus and has enjoyed learning about new ways to sustainably treat wastewater and learning about biofuels. 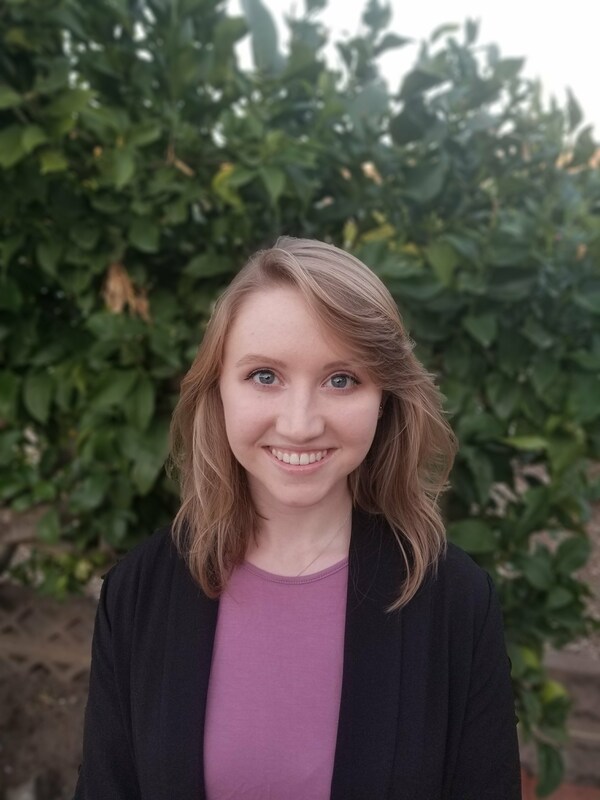 After graduation, Erin plans to pursue a master's degree in Environmental Engineering and hopes to work in environmental remediation along the Pacific coast. Katie is a fourth year environmental engineering student and is a member of both the Cal Poly Zero Waste Club and Engineers Without Borders. She's had three internships including in the City of Boise Public Works Department and Idaho's first-ever composting program. Her third internship was with women-owned Warm Spring Consulting LLC where she helped with the company's PR program to coordinate Idaho's first climate change summit. She is currently an operator in training at the San Luis Obispo Waste Water Treatment program and is working to get a Grade V operator's license and a Professional Engineering license. Sydney is a fourth year civil engineering student and has been a Project Manager for the Engineers Without Borders Malawi team. She is also a member of ASCE and CalGeo. In 2017, Sydney interned with Langan Engineering and Environmental Services in Oakland and will be returning as an entry-level geotechnical staff engineer in January. Emily is a graduate student and has been involved in the Society of Environmental Engineers, Student Fee Initiative, and the Zero Waste Club. She has participated in both the WERC and the ECi competitions and spent numerous quarters doing undergraduate research under Dr. Lundquist's WESTT program. She is working on her Master's thesis and doing research under Dr. Rebekah Oulton on advanced oxidation processes for the removal of emerging contaminants from water. After graduation, Emily hopes to work in the wastewater treatment field. Kathryn is a fourth year environmental engineering student and Activity Coordinator of the Society of Environmental Engineers. She is one of the Environmental Team Leads for PSWC and a volunteer advocate for Friends of the River, and environmental nonprofit. She discovered her interest in wastewater treatment as a student researcher for WESTT. 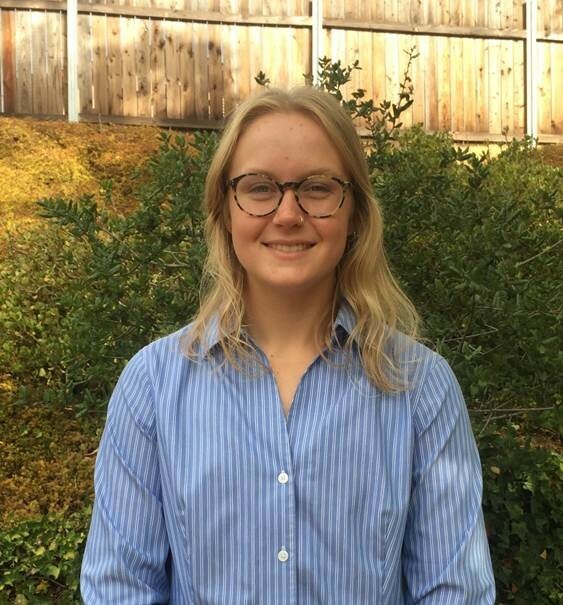 This past summer, Kathryn worked as an intern in Construction Management for Tanner Pacific, Inc. She is pursuing her Master's degree and hopes to work in the field of water resources.